It’s no secret that now is the ideal time to grow a business in Oakville—factors such as low property taxes, employment land that’s currently being developed, and access to almost seven million consumers in South Ontario are all converging to make Oakville the place for entrepreneurs to be. This also means that, as an Oakville business owner, you’re most likely facing some healthy competition. So how do you make sure that your business stands above the rest? The answer may be right under your nose—in the very place that you work every day. Remodeling your office offers numerous benefits, and Alliance Interiors can help you reimagine your workplace to make it more efficient, more productive, and a more pleasant place for you and your employees to spend your workdays. There are myriad reasons why it may be time to renovate your Oakville office—maybe it’s a necessity because all your office furniture is comfortable and outdated, or maybe you just want a change of scene to inspire employee creativity. Let’s look at three of the best benefits that any business can get from using Alliance Interiors’ office interior services. Better office design and layout = better employee engagement. If your office layout hasn’t been optimized, employees may be getting easily distracted by excess noise and restless coworkers and may be having trouble staying motivated in an uninspiring or uncomfortable environment. By rethinking a problematic floor plan and adding ergonomic furniture, you’ll encourage employee productivity while reducing absenteeism and turnover. A modern, smart office design makes people want to do business with you. Let’s face it—your office may be the first real impression a client, customer, investor, or job candidate gets of your business, so you need to be sure you’re making the right impression by showing that your environment is visually appealing, up-to-date, and conducive to high-quality work. You and your employees will value your workspace—and your work. You and your employees spend the better part of your week in your office, so you should make sure that space is as comfortable and inviting as possible. An optimized workspace can help you and your employees from getting burnt out, allowing you instead to take pride in your work and enjoy coming into the office in the morning. Corporate Office Interior Design. Come to Alliance Interiors when you need a “Business Environment That Makes Sense.” We specialize in design solutions that both look good and help you meet your business goals, all while staying within your budget. Home Office Design. Alliance Interiors takes pride in working with small business owners, and if you’re currently based out of your house, we want to help you establish a work environment that minimizes daily distractions and maximizes productivity. Corporate Moving. It seems to be a universal law that moving is always more of a hassle than you anticipate—unless you work with Alliance Interiors. If your business is moving to a new location, whether it’s across the hall or across the city, we’ll work with professional movers and help facilitate the transition to minimize disruptions. Office Project Management. Sometimes the hardest part of an office remodel is getting started. If you know you want to make changes in your work environment but don’t have a concrete plan, schedule a meeting with Alliance Interiors. We’ll help you establish your goals, budget, and timeline (and we’ll even procure construction drawings if you need them). Office Space Planning. Has your office layout become less than ideal as your business has expanded? Do your employees have to weave through tightly packed desks to talk to a team member who is all the way on the other side of the building? Let Alliance Interiors help you make the most of the space you have so that your team members can better communicate and increase their productivity. Furniture Procurement. Make sure that you and your employees get the best furniture for your business by getting recommendations from Alliance Interiors. And we won’t stop at recommendations—once you’ve chosen furniture, we’ll work with the vendors to make sure you get your new purchases quickly and receive the best customer service along the way. Perform a quick online search for something like “ergonomic task chairs” or “standing desks” and you’ll find an overwhelming number of options. It can be difficult to determine which brands are best, especially when you have little more than a picture and short description to go off of online. 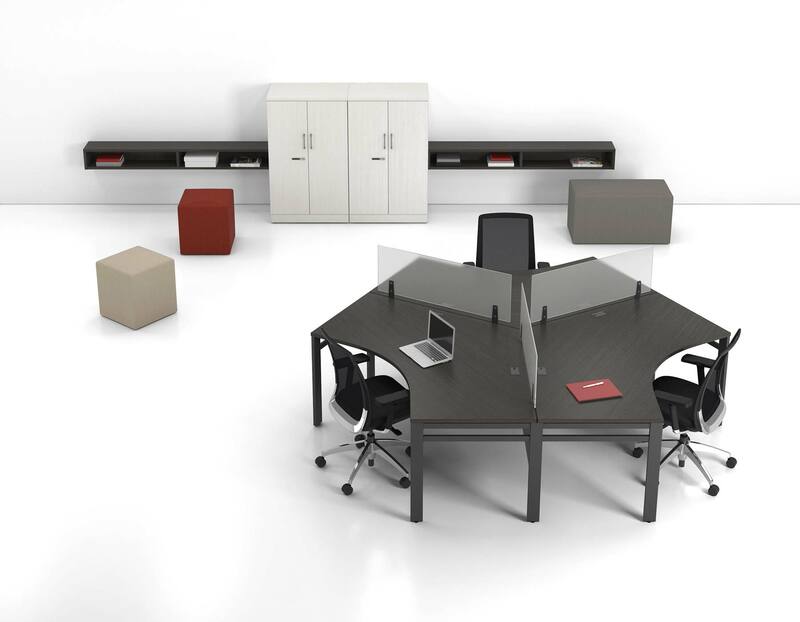 That’s why Alliance Interiors is available to procure furniture from some of the top Canadian office furniture brands. We’ve worked closely with these furniture vendors before, so we can help you get the right furniture for your office and employees—all at a reasonable price. Learn more about these brands and their history of excellence by contacting Alliance Interiors. At Alliance Interiors, we love using innovative design solutions to help local businesses realize their full potential, and we’re looking forward to working with you.